The Beginner Video Game Design Camp teaches students the basics of game design and development. Throughout the week, students are engaged in the game design process, from the initial game ideation, storyboarding, and pitching to the iterative development process of prototyping, playtesting, and balancing. 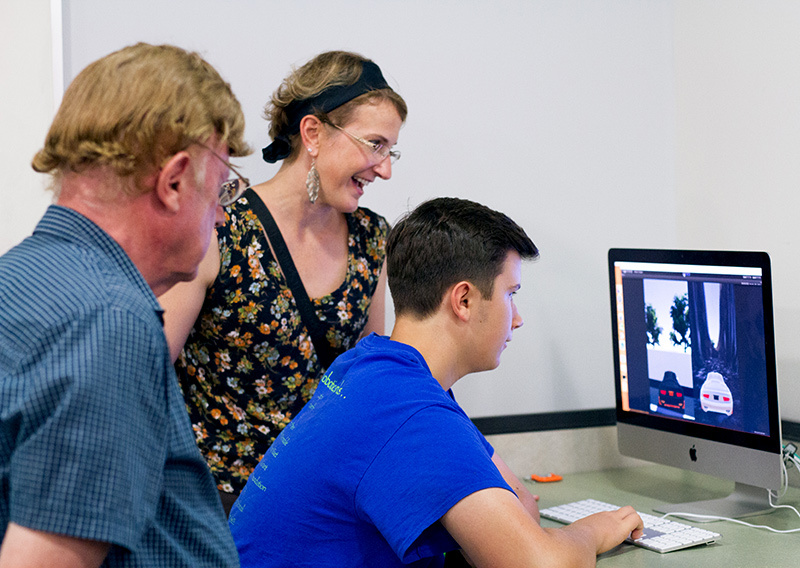 Students learn the process, tasks, and roles involved in game development, including programmer, artist, designer, and producer, while building their very own 3D video game.